Less than a year ago (July 2017), we purchased a condo. 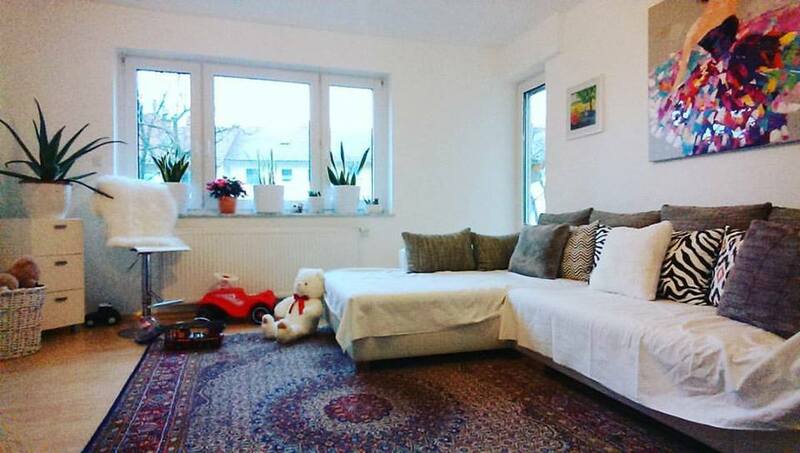 It´s 82 square meter big with four rooms + a kitchen, a bathroom and a balcony. We moved to our new condo in November. The rest of 2017 and a good part of 2018 I spent decorating our new home. Before we moved, I had a vision of how I wanted it to look. 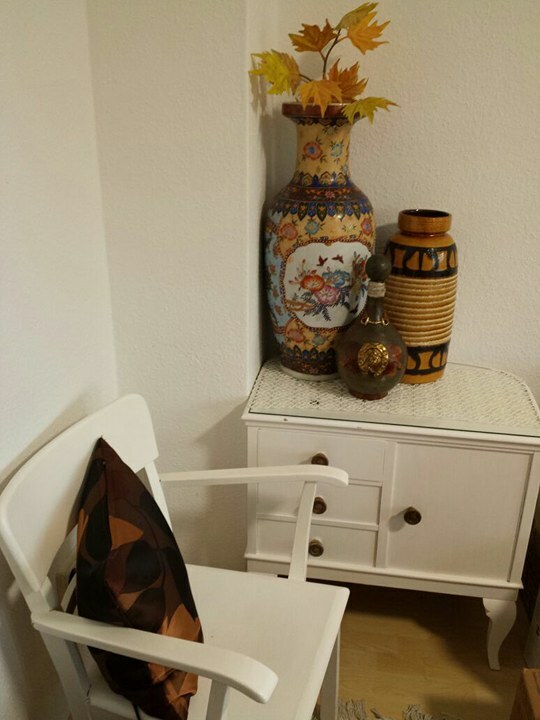 We didn´t have a huge budget for furnishing but we did have many antique furniture from my husband´s grandma´s recently sold house to recycle. So we became creative in styling and furnishing our new place. The first thing that attracted me to this condo were the big south-facing windows that made the place bright. I love big, bright windows because I tend to be depressive in winter. When it´s bright, I`m not depressed. That´s why I love spring and summer! This is how our living room looked right after we moved in. It´s very basic. We brought with us our six-year-old sofa. To my surprised, our Persian rug and big, ballerina art actually matched. This is the first time I put them together in the same room. Decorating hack #1. 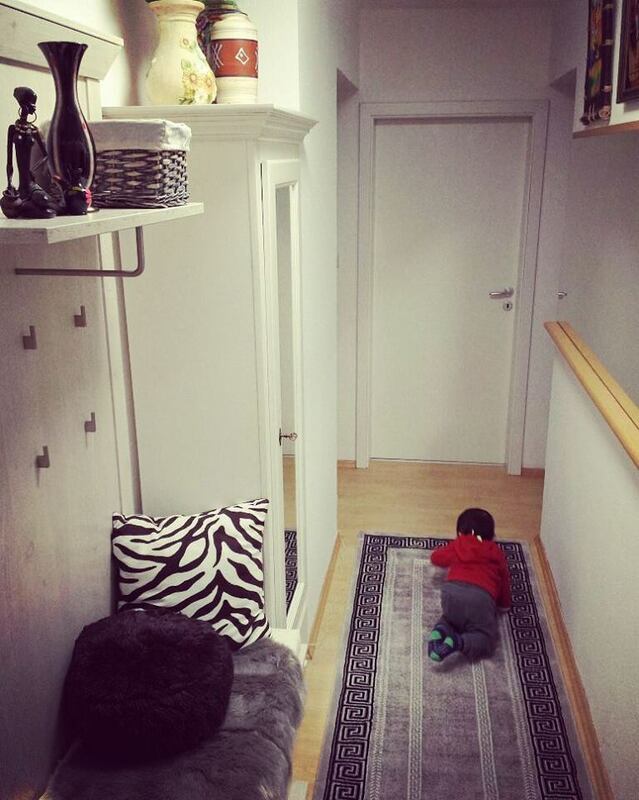 It´s about the gorgeous rug. Before I started adding pieces into the room, I laid down my Persian rug first. Because it´s printed, it dictates the colors and prints that could be added to the room. 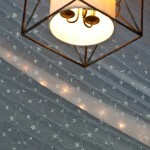 It set the overall ambiance for the room. Persian rugs can be very expensive. However, if you´re resourceful, you can find good, old pieces in second hand stores. Although my rug isn´t thrifted, I actually found beautiful rugs from a second hand store that I visited which I would have bought had I not already enough rugs for our condo. Decorating hack #2. To save floor space, mount the TV to the wall. 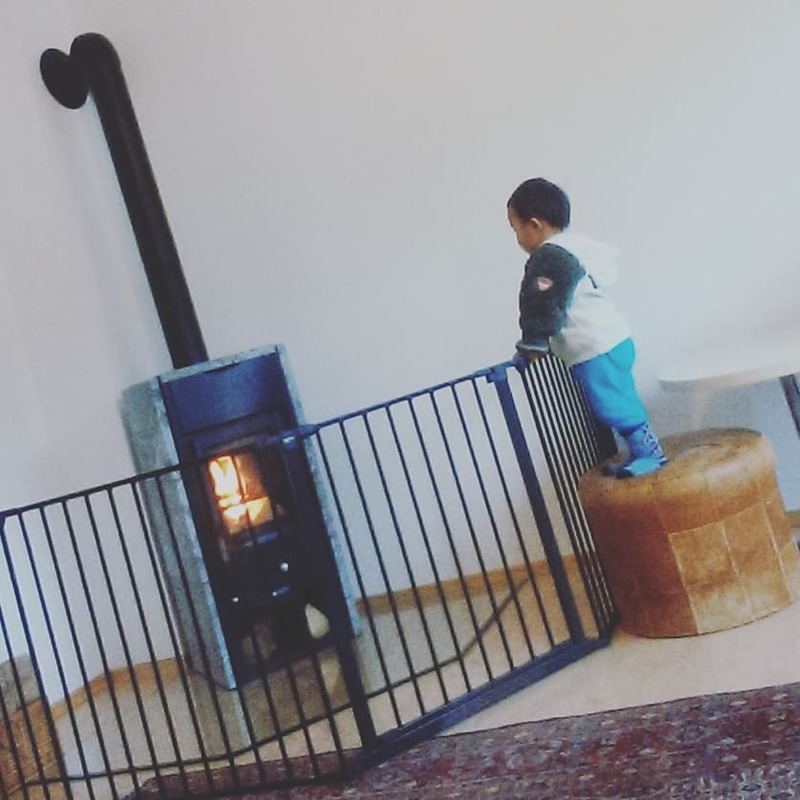 We mounted the TV to the wall to save floor space but really, to keep it away from our very curious toddler. I also asked my husband to install a floating shelf on top of the TV for my plants. As you can see in this picture, the receiver was still sitting on top of my antique chest of drawers. Eventually my husband would add a second floating shelf for it, giving me more space for more plants. Yay! I originally thought to hang curtains on the windows, but as I decorated the place I discovered my growing obsession for indoor plants. So I thought, why block the light? Instead of curtains, I used plants to decorate the windows. Decorating hack #3: Decorate with indoor plants. Indoor plants are a great way to add colors to the room. They also quickly add style and elegance to the room. Choosing the right pots, baskets or planters to use for your plants is integral to the overall look of the room. Using terracotta pots will give you a rusty, earthy feel. Using seagrass basket pots will create a boho look. For me, I opted for white (preferably textured) pots to allow my plants to standout. They look greener and fresher in white pots, although I also accented them with seagrass baskets and exotic-looking pots. 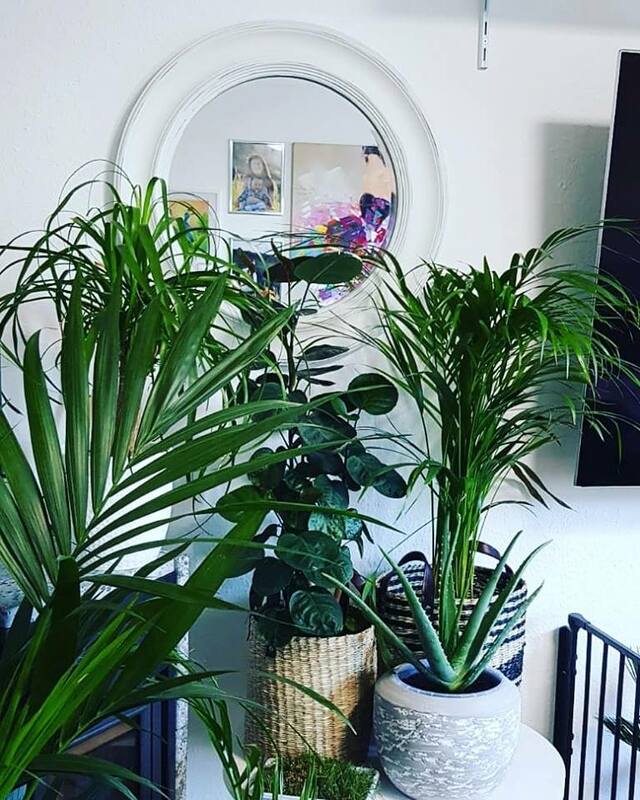 When my friends came to visit and saw my plants, they not loved it, in fact, they adored it. But their first question was, “how hard is it to maintain?”. Not hard, actually. Most of my plants are cactus and succulents. They don´t need regular watering. In winter, I water them once a month. In summer, once in two or three weeks. I have a handful of palms. I water them only when their top one inch soil is dry. That´s about every 1.5 to 2 weeks in summer. It will probably be every three to four weeks in winter, depending on the type of palm. Decorating hack #4: Use mirrors. I discovered the magic of mirrors and how they can brighten and widen the place. 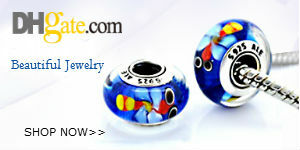 They also add luxury and sophistication. They reflect light, especially if they´re facing a window, and they make the space appear bigger. Choose framed mirrors that resonate with your style. You can see I have two round mirrors in white baroque placed on each side of the TV, in the name of symmetry. The gold rimmed mirror matched my two antique arts which I purposefully wanted to accentuate my antique cabinet. Decorating hack #5: Mix modern and antique furniture. I love mixing old and new pieces — whether it´s furniture or décor — for a more personal, exciting result. You can see that the pieces in my house are curated. Not straight from IKEA or straight from a catalog. I noticed that if you put antique pieces together, the room look heavy and dark. But if you mix them with white (or modern) furniture, they stand out. 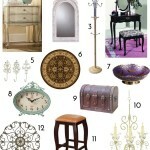 I also find that accenting antique furniture with gold is the best approach to decorate. For example, a gold-rimmed mirror or a gorgeous painting with gold-accented frame will look stunning atop an antique cabinet or a chest of drawer. But then again, white baroque pieces also do a good job. This is our tiny office room. 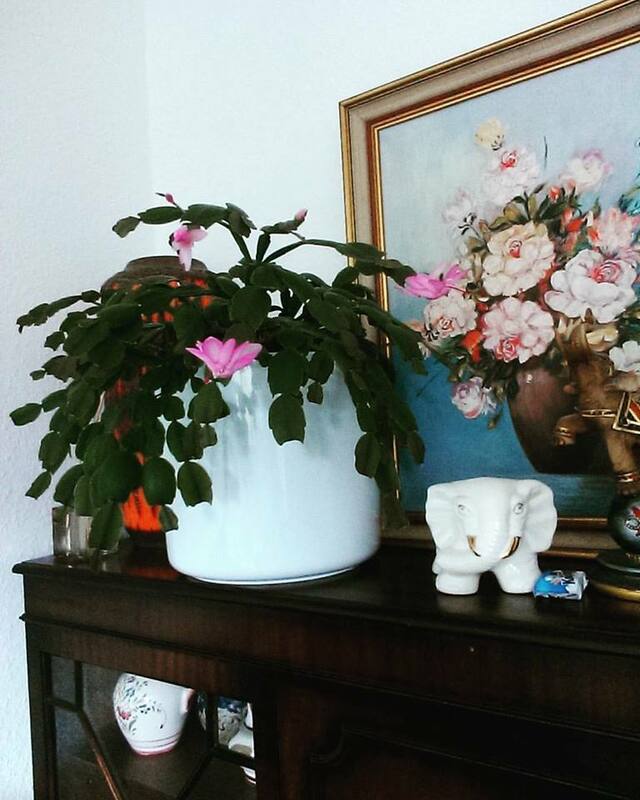 I took this photo the night when I evacuated my two thanksgiving cactus from the balcony. This is not their permanent place. I will make a follow-up feature of the office room next time. 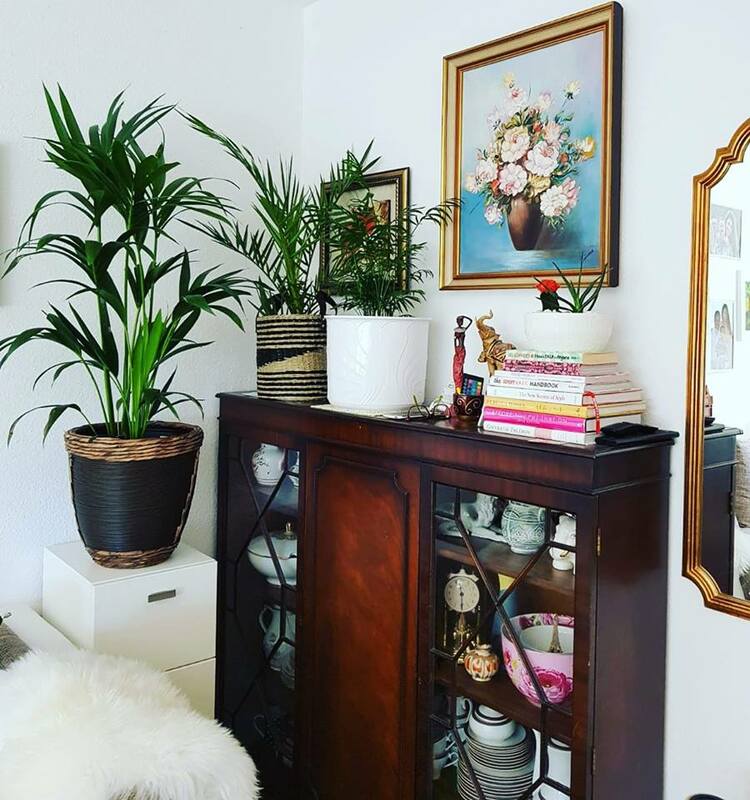 In my son´s bedroom is another antique chest of drawers (my husband owned it for a really long time, a legacy from his grandparents) which I decorated with plants! 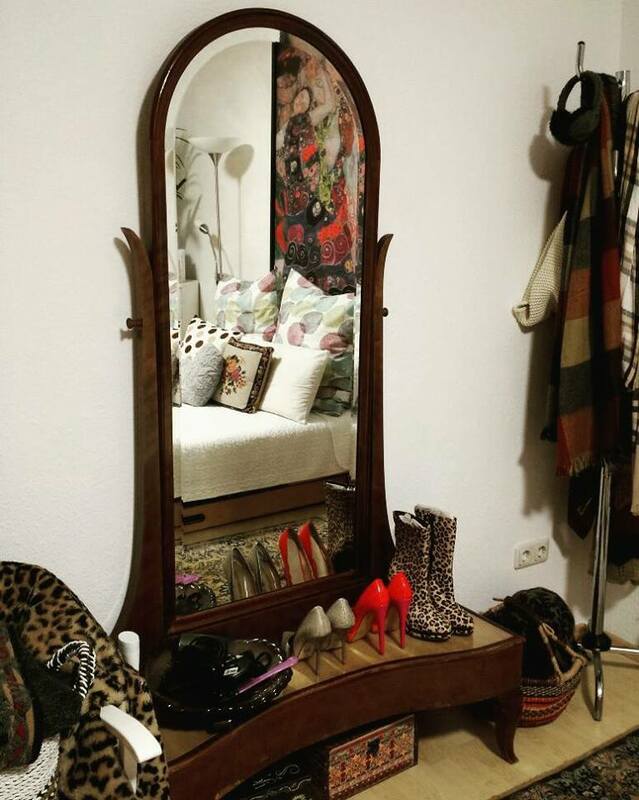 I took this picture of an antique mirror in our bedroom when we first moved in. 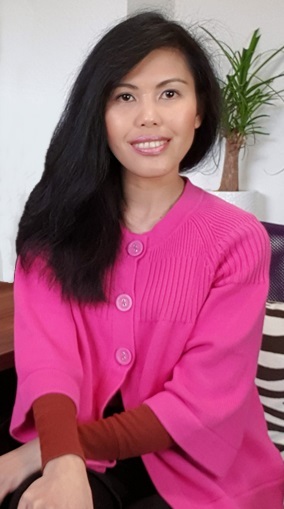 I´ve done several changes in the room but I am yet to make new pictures. These table and chair are restored antique pieces. They were damaged and dirty my only option was to sand them and paint them white. Otherwise I would have kept them in their original antique color. I´ve restored two more antique chairs. This is my husband´s fifteen-year-old bonsai. I found the perfect basket for a boho look. What I learned from this experience is: in decorating a place — whether it´s a house, a condo or an apartment — take it as a journey. You don´t have to furnish everything at once. If you do that, you´ll end up buying things that you´ll find out later you actually don´t need. Ideas will not come all at once. But they will come. It´s important that you know how you want to feel in your home — is it casual and relaxed, bold and eclectic, simple and minimalist, or sophisticated and elegant? If you know what you want, then you can start to envision it. Gather inspirations from magazines, pinterest, instagram and youtube. Go to thrift stores and flea markets to hunt for treasures. 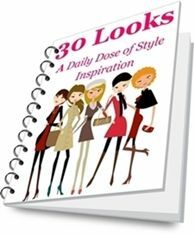 Use your finds to accent the pieces you bought from stores. At this point I`m almost done with decorating (I will feature my bedroom and kitchen in separate posts). 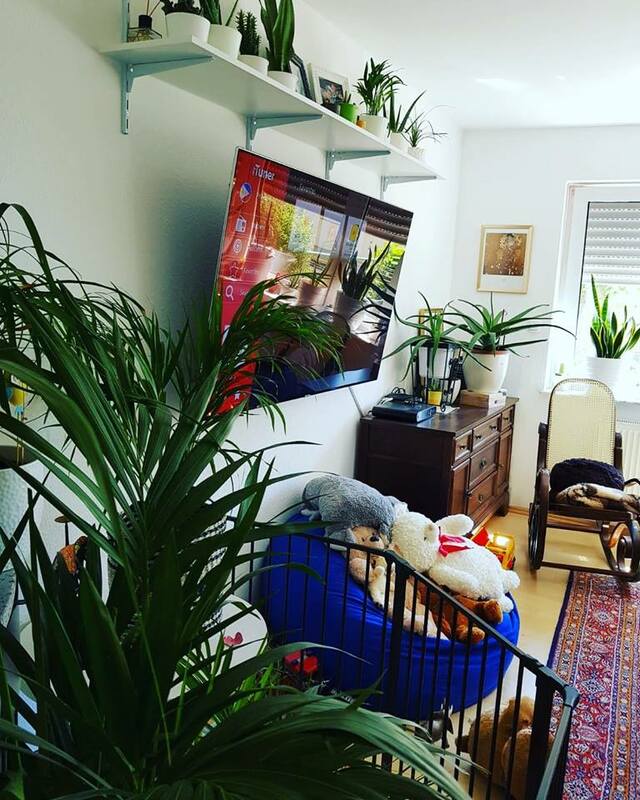 If I`m not watering the plants, repotting them into bigger pots, taking care of my husband and my son, or writing long blog posts such as this, I`m enjoying my cozy abode. Come winter and I have no reason to get depressed. 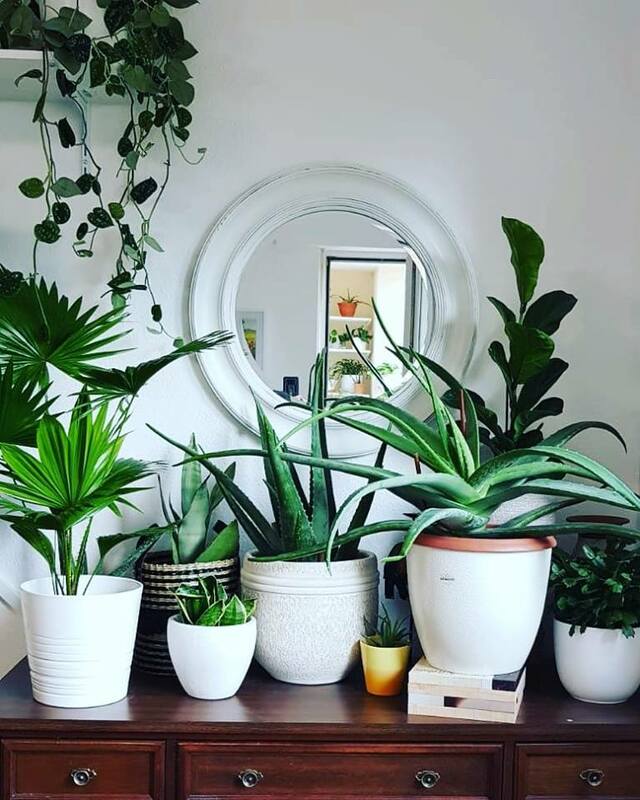 I`ll be busy caring for my huge flock of plants! 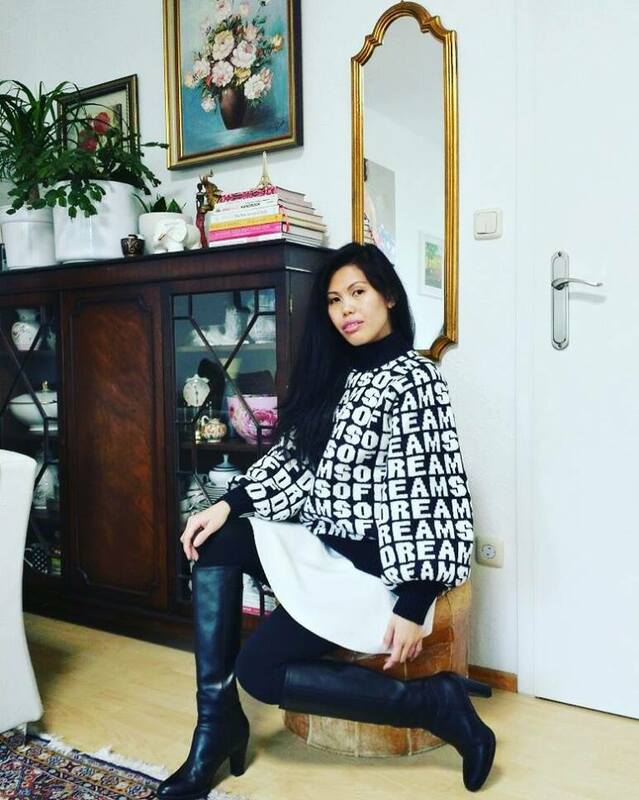 I`m humbled to say that together with my husband and son, we´ve created a place that make us happy to just stay at home.